Dermaplaning is an effective, safe, non-invasive, non-surgical physical exfoliation procedure. 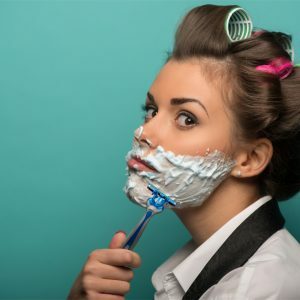 It requires the use of a sterile, surgical scalpel to gently “shave” the skin’s surface, removing the top-most layer of dead skin along with fine, vellus hair (aka peach fuzz). The procedure can be performed monthly. We recommend allowing the skin to complete its normal rejuvenation cycle (30 days) which could help prevent peeling post treatment. It can take less than thirty minutes to perform, with no downtime post-treatment. The procedure generally will remove between two to three weeks of dead skin from the facial area. Dermaplaning is only performed on the face; however, it is not meant to be used to shape eyebrows, which are made up of “terminal” (not vellus) hairs. The nose is also avoided. Dermaplaning poses no serious side effects and patients can resume normal activities immediately following treatment. skin that has a smoother look and feel. Dermaplaning is especially effective on those with dry or rough skin texture and helps to minimize superficial acne scarring or uneven skin tone. It is also beneficial for mature skin, which tends to have a buildup of dead cells as cellular turnover slows down with age. Dermaplaning is safe for sensitive skin as well as pregnant or lactating clients who cannot have chemical peels (peels penetrate skin to act at the cellular level, thus are contraindicated). People who suffer from acne or have excess oil should not have dermaplaning performed. The reason why you want to avoid this procedure is because if the hair is removed from the area, the oils may cause bacteria growth which could lead to acne breakouts. The latest addition to Premier Spa & Laser Center, Trixie Hendrixson, is a Master Esthetician of A Natural Difference Skincare. She has mastered the art of customization to treat and correct undesired conditions such as aging skin, hyper-pigmentation, acne, rosacea, sensitive skin and sun damage with this unqie skincare line. A Natural difference uses the purest ingredients in nature to deliver cutting edge formulations. The entire line is based on natural essences and extracts combined with the modern marvels of science. All elements of A Natural Difference’s line work in harmony with one another. Used together, they help the skin achieve a natural balance and help clients recapture a healthy and youthful appearance. The company’s regimen of therapies act in unison to deliver high dosages of vitamins and minerals, along with immune enhancing, toning, firming, hydrating and lifting ingredients. Their products are highly effective for all skin types in combating sun damage, dehydrated skin, premature aging and free radicals. All of the essential oils in A Natural Difference’s cremes are organic, chirally correct, and have been certified by the U.S. Department of Agriculture. This ensures that these products naturally fit the receptors of the skin cells and work to nourish and restore the matrix of the body’s epidermal and dermal cells. These essential oils are found in nature in botanical flowers, plant extracts and herbs. Our express facial or mini facial is a convenient option for people with busy schedules and little time to spare. This treatment consists of cleansing, exfoliation, application of a mask, toner and moisturizer. After your treatment, your skin will have a nice glow and you will leave feeling refreshed and relaxed. Your skin will feel smoother and look healthier. (Steam and extraction are available upon request but not part of our express facial. Facial masks can treat a particular skin type or condition. They can be used alone or in combination with other treatments. Commonly we pair with a mini facial. 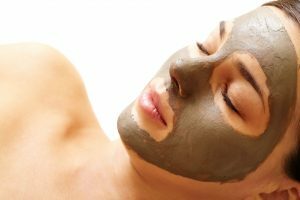 The masque stays on for about 10-15 minutes and contains ingredients such as clay, mud, aloe vera, algae, essential oils and vitamins. Below are a few of the masques we offer in our spa. The brightening masque works to address fin lines, large pores and hyper-pigmentation. It illuminates the skin with Tyrosine inhibitors by slowing down the production of melanin. A gradual lightening of hyper pigmentation, age spots and freckles will occur. This masque is ideal for targeting acne, irritated skin and large pores. Its cleaning benefits help to eliminate impurities. It prevents the pores from clogging. The complexion becomes clearer and excess oil is absorbed. This creamy rich non-drying masque tones, moisturizes and hydrates dry and mature skin. Marine extracts high in amino acid, combined with antioxidants and proteins, help optimize and maintain a radiant complexion, leaving the skin soft and silky. This masques highly concentrated granule crème contains licorice for its inflammatory, antiseptic and ant-bacterial properties. It exfoliates dry dead skin cells while drawing toxicity to the surface. Can be used on all skin types. The rejuvenation masque combines the best ingredients to fight the free-radical damage that causes premature aging. This masque is especially helpful to maintain healthy, mature skin by enhancing epidermal water content. This lemon colored and fragrant gel masque will calm down the most sensitive skin. This soothing gel contains healing calendula, chamomile and aloe with a small amount of Vitamin E is mainly used for sunburns, acne inflammation and over treated skin.